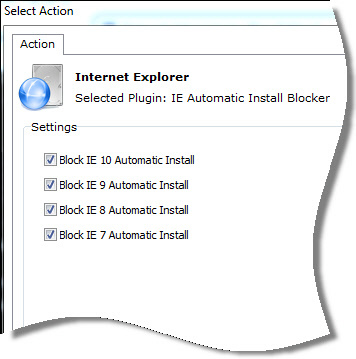 We have been getting many requests to add IE 10 blocking to Network Administrator. IE 10 shows up as an automatic update…If a user runs an update on their own, and is not paying attention – they have IE 10 installed. After that, lots of stuff is broken for them (Not broken, but those pesky corporate sites that require an earlier version of IE no longer work). If you want to prevent this from happening you can use a registry value to block it. Set it to 1 to block, Set it to 0 to unblock. Keep in mind this will only prevent it from showing up in Automatic Update. Users can still install IE 10 by hand if they wish. Just in time steve. Been looking for a way to stop this. This does not prevent users from manually installing IE 10. This just keeps it from being included in automatic updates. I uninstalled IE10 and it worked. After uninstalling IE10, DoNotAllowIE10 is set to block, by the way.